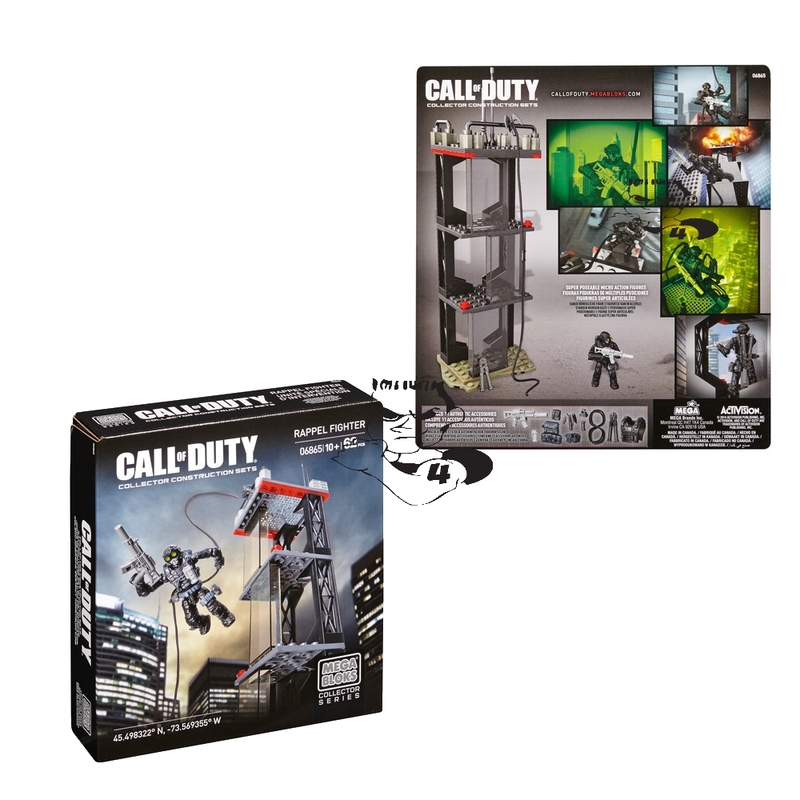 Product Detail Summary: Build the Call of Duty Ghosts Rappel [Repel] Fighter Collector Construction Set by Mega Bloks. Secure your line and take a leap off a fully buildable tower, complete with rappelling platform, zip line and grappling hook. Super-poseable micro action figure wears a removable backpack, combat knife and mask, and moves smoothly up and down the zip line! Create exciting scenarios with this unique buildable set and authentically designed accessories. For ages 10 and up.